I am SO behind in my blogging. I have a ton of things to share (baked but not yet blogged) but I can't get myself to post any recent items until I've caught up on some of the older ones. It's a bad system that I need to change. I've been wanting to at least throw pictures up to keep things from getting more and more backed up, but I can't get myself to put photos up of these carefully crafted cakes and cookies without a little backstory. I want to redesign my website. I know how ridiculous that is because it's FINE for now and heck, I have enough on my to-do list... but I can easily get carried away in imagining what I want it to look like one day and what I want it to do... I'm just not as web design saavy in real life as my imaginary life? 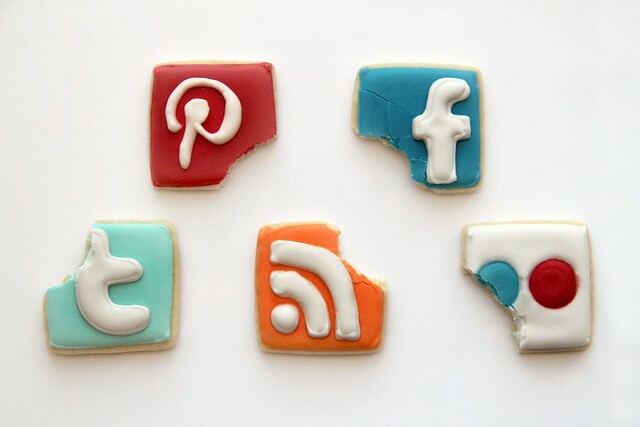 One thing I've really wanted to do is add custom social media icons my website. I was first inspired when I saw this photographer's website -- with clickable links on the footer image (see below). I wanted something like that for me. But I didn't know how. Or what. It's one of those things I don't even know how to Google. "Dear Google, how does it go like that on that lady's website???" 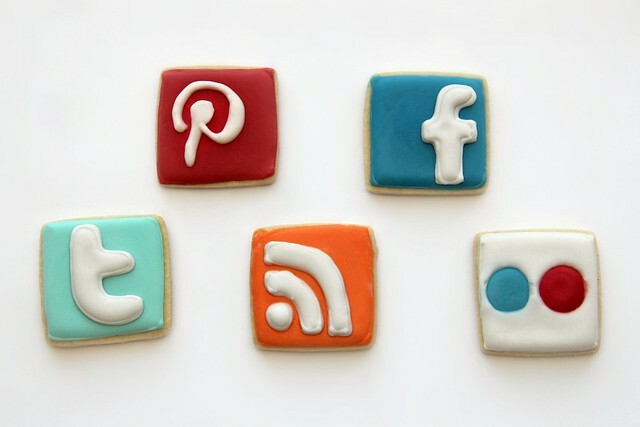 Eventually, I just decided to just bake my Social Media Icons. Because that's what I do here. And now I'm blogging them. Because that's also what I'm supposed to do here. Then I ate them. Project complete.